Ramipril is used to treat people with hypertension (high blood pressure). It is also used to treat heart failure and heart attack with heart failure, reduce risk of heart attack and stroke, and slow kidney disease progression. Can I get Ramipril prescribed online? The Online Clinic can prescribe Ramipril for patients who have used this medication previously. Please complete our online consultation form to begin. Ramipril is itself an active medicine. It is grouped as an angiotensin converting enzyme (ACE) inhibitor. It inhibits ACE, which converts the hormone angiotensin I to another hormone (angiotensin II) that regulates blood pressure. It also relaxes the blood vessels, causing them to dilate (widen) so blood easily travels within them, and enables the heart to easily pump blood all around the body. Ramipril can be taken in a tablet, a capsule or a hard capsule (each available in doses of 1.25 mg, 2.5 mg, 5 mg, and 10 mg), or in an oral solution (2.5 mg/ml). Despite the type of preparation, each should be taken at about the same time every day. This medicine can be taken either with or without a meal, but you may become dizzy if you drink alcohol. Tablets and capsules are swallowed whole with water. The oral solution is also swallowed but additionally; it can be administered by a tube into the stomach either via the nose (nasogastric tube) or abdominal skin (percutaneous endoscopic gastrostomy or PEG tube). 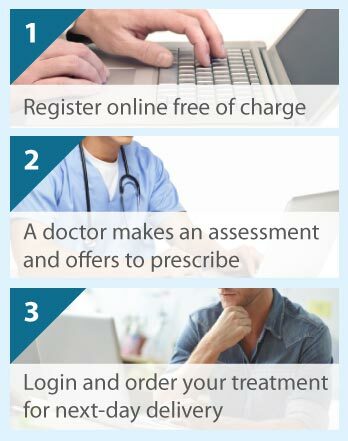 Your doctor will decide on your dose of medication depending on your condition. Generally, people start on a dose of 1.25 mg or 2.5 mg once a day, which will be adjusted accordingly; 10 mg is either the normal or maximum dose. Older people will usually start on a low dose that will be increased at a slow rate. You should see a doctor immediately if you take too much Ramipril and, if you forget to take it, you should wait until the next scheduled dose and take only your normal dose (not a double dose). This medicine is for people aged 18 years or older. Ramipril should not be taken during pregnancy (particularly after 13 weeks) or breastfeeding due to the risk of harm to the baby. If you are planning pregnancy, may be pregnant or become pregnant, inform your doctor immediately. You must take an alternative antihypertensive medicine to Ramipril if you are hypersensitive (allergic) to Ramipril or the medicine’s other ingredients or other ACE inhibitors, have had angioedema (an allergic reaction), are receiving dialysis or another blood filtering treatment, have very low/unstable blood pressure, renal artery stenosis (reduced supply of blood to the kidneys), or have diabetes/poor kidney function and taking a medicine called aliskiren. Other conditions warranting precaution with Ramipril include heart, kidney or liver or problems; conditions or medicines that can decrease blood sodium levels; high blood potassium levels; dehydration through vomiting, diarrhoea, increased sweating, dialysis, taking water tablets or low salt intake; desensitisation to reduce bee or wasp sting allergy; anaesthetic requirement for surgery or dental treatment; collagen vascular disease (e.g., scleroderma and systemic lupus erythematosus); and taking blood pressure therapies called angiotensin II receptor blockers (especially if you have diabetes plus kidney problems). The doctor should be informed of all your medicines, regardless of whether you have a prescription for them or not. Most important are angiotensin II receptor blockers and aliskiren, as you are likely to get side effects if these are taken in combination with Ramipril. Some medicines will reduce the effect of Ramipril, including treatments for pain and inflammatory conditions (e.g., ibuprofen and aspirin), and for low blood pressure, heart failure, shock, asthma, and allergies. Other medicines will increase the effect of Ramipril (potentially causing side effects), including treatments for pain and inflammatory conditions (e.g., non-steroidal anti-inflammatory drugs and steroids), to prevent organ rejection after transplantation, and that can increase blood potassium levels; chemotherapy, diuretics (water tablets), allopurinol (reduces blood uric acid levels), and procainamide (for problems with heart rhythm). The effect of yet other medicines may be altered by Ramipril, including treatments that lower blood sugar levels (for diabetes) and lithium (for mental health issues). Signs that you are allergic to Ramipril and therefore need urgent medical help include swelling of your face, lips or throat; problems swallowing or breathing; skin rashes and itching; and the more severe skin reactions such as mouth ulcers and skin blisters. Additionally, if you have any of the following (in any combinations) get help immediately: a rapid heartbeat, chest pain or tightness, or think you may be having a heart attack or stroke; breathing or lung concerns; bruising and bleeding problems; fever or chills; tiredness and faintness; skin pallor or yellowing of skin and eyes; and severe back/stomach pain and feeling sick. Most commonly, people complain of headaches, dizziness, and tiredness (especially at the start of treatment); drop in blood pressure and feeling faint when standing quickly; gut problems (including sickness and diarrhoea); chest pain; muscle cramp/pain; skin rash; and cough, breathlessness, and inflammation of breathing tubes. It is uncommon but you could experience different skin sensations (e.g., numbness and pricking); mood and sleep problems; worsening of any problems related to the intestinal tract and lungs (breathing); passing more urine; swollen limbs; reduced libido or sexual performance; and changes in blood cells and blood liver, kidney and pancreas enzymes; and visual disturbances.